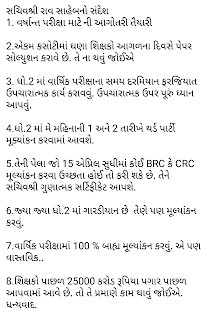 Education Secretary Rao Saheb's Message date- 31-3-2019. 4. Third party will be deployed on 1st and 2nd of May in 2nd. 5. 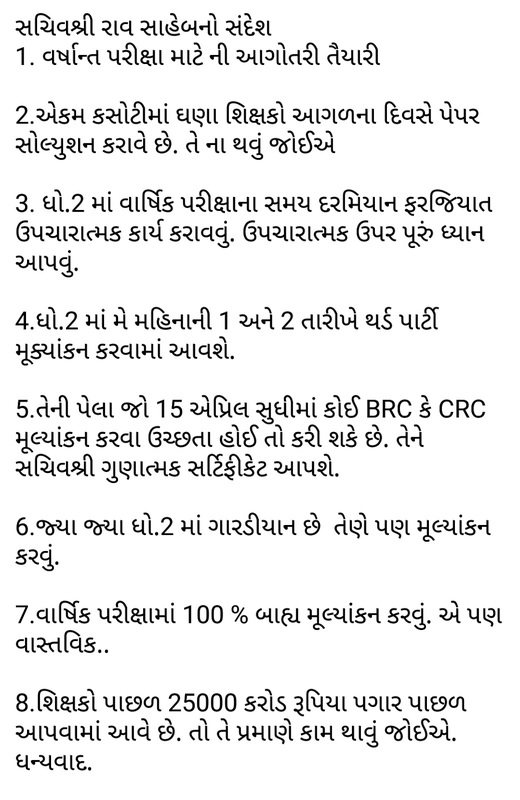 It may be able to evaluate any BRC or CRC by April 15. The secretary will give it a qualitative certificate. 6. Wherever there is a Gardian in Standard 2, he should also evaluate. 7. 100% External Evaluation in the annual examination. It is also real ..
8. 25 thousand crores of rupees are paid behind the teachers. It should work accordingly.